“I was very conscious in 2013 to try to enjoy every month, every week at a time, as much as I could,” he told Out. Although Jim has had a lengthy stage career an earned A-List status when The Big Bang Theory premiered in 2007, he didn’t publically come out until last year in a New York Times article. The star casually mentioned his 10-year relationship with Tom because it helped him identify with a character he was playing in a stage play called The Normal Heart. He will reprise this role next year in the film version of the play directed by Ryan Murphy. 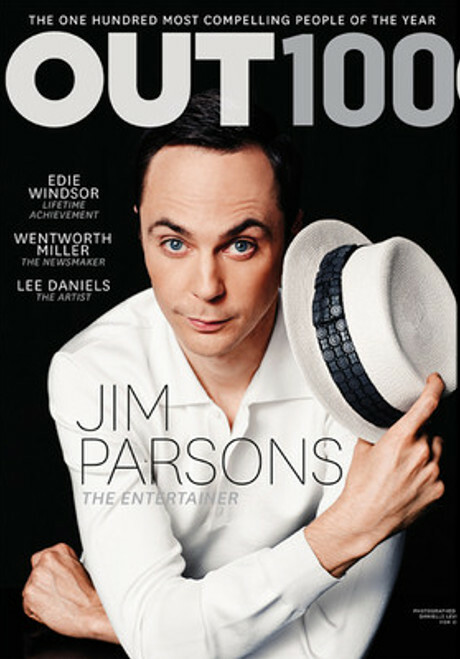 Did Out magazine make the right decision naming Jim Parsons entertainer of the year? Tell us what you think and leave a comment below. Prince Harry Caught With Cressida Bonas After Wedding, Has He Finally Found His Princess?